Why would I need self storage in Berlin, CT? There are a variety of reasons why you might need self-storage in Berlin, CT.
How much is a storage unit in Berlin, CT? The cheapest storage unit in Berlin, CT is $33.00 per month. What size storage units do you have available in Berlin, CT? In Berlin, CT we have sizes that range from 5'x5' to 10'x15' to suit your storage needs. How much is it for a 5'x5' storage unit in Berlin, CT? The cheapest 5'x5' storage unit in Berlin, CT is $33.00 per month. Berlin is a relatively small town in Connecticut's Hartford County, located at the geographical center of the state. It is a mix of residential and industrial developments and is home to a diverse population thanks to a rich history of immigration. The town also includes two small hamlets called Kensington and East Berlin. The first settler in the area that's now Berlin was Sergeant Richard Beckley. He bought the land from a local Native American chief and moved to the area in 1668. By 1670 he had constructed his home, which was closely followed by the addition of the town's first mill. Settlers continued to move to the town and surrounding area and erect new buildings throughout the years, and the town's borders slowly expanded. In the 1830s and '40s, the arrival of the railroads boosted the economy significantly. Brickmaking also became a big industry in Berlin during this time, as did the manufacture of clocks, tinware, ammunition, woolen clothes and wagons. A post office, church, meetinghouse and library were established, and Berlin slowly and steadily evolved into the community it is today. Although unemployment in Berlin and Hartford County is just above the national average, there's still a range of options if you're looking for a job. The city's largest employer by a landslide is Eversource Energy, providing over a thousand different jobs to locals. Other top employers include the town of Berlin, Comcast, Parker Hannifin and Corbin Russwin. In addition, because Berlin is only about 10 miles from the larger city of Hartford, you always have the option of making the daily commute to the city for work. The Berlin Public School District operates the public schools of Berlin, including elementary, middle and high schools. There are also several different private schools in the area, fairly equally divided among faith-based and secular campuses. Utilities: Eversource is the primary energy provider in the area. The town of Berlin facilitates distribution and billing of residential water services. Garbage and Recycling: You can expect to receive two waste disposal cans; one for trash and one for recyclables. Curbside collection is provided on a weekly basis. Transportation: ConnDOT operates the public bus system in and around Berlin. Senior citizen transportation is also available. Housing in Berlin is more expensive than the state average, and median prices are also higher than what you'll find in the nearby city of Hartford. However, the market is a good mix of single-family homes, apartments and condominiums, so there are plenty of price points to choose from. Our lowest priced units in Berlin, CT average $33.00 per month. 57 people have reserved units in Berlin, CT in the past 30 days. 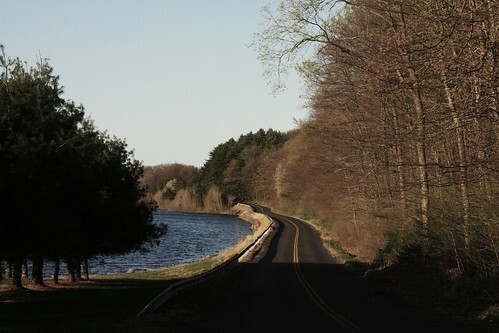 There is 1 location within Berlin, CT's city limits. There is 1 location in Berlin, CT that offers AC and Heating features.